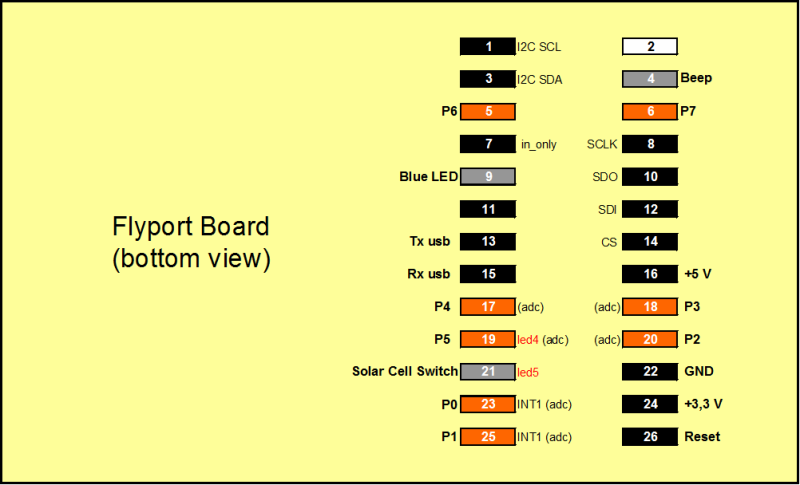 This App Note describes step by step how to configure an Arduino Ethernet board to control a LED from the Cloud, (the "Hello World" example in the microcontroller's world). This trivial example is intended to introduce you the way how the NearBus system works. There is no PC or gateway involved in this implementation. The Arduino will connect directly to the NearHub Server through the internet access router and you will be able to control it from your web browser. Go to the SIGN UP screen and set up a new user. Only the username, email and password are required to setup your new account. Then login into the NearBus website using your new user and password. From the top menu bar select the NEW DEVICE option to create a new device. To setup the new device you should configure the followings field in order to define it. Take in account that only the SHARED SECRET field is mandatory (the password). The other fields are optional, so it is not necessary to configure they for this first example. Note: When you create a new device, the NearBus system will generate a unique device ID (likeNB1xxxxx) that will be showed in the DEVICE LIST screen (do not confuse it with the DEVICE NAME field !!). Take in account that you will need to configure this ID in the Arduino's code as explained in the following step. Note: The version numbers and file names are illustrative and can be different from the last release. Note: This code only include a simple implementation of the NearBIOS features in order to simplify its understanding. b- Upload it to the Arduino Ethernet board, you only have to unzip the file and copy it into the Arduino library folder (remember to restart the Arduino IDE). IMPORTANT: Remember to check the decompressed library folder in order to avoid double nested folders. Depending on the decompressing option selected you can obtain nested folders (like NearBusEther0v2x/ NearBusEther0v2x/...). In this case you only should install then second-level folder (NearBusEther0v2x/) in your Arduino library in order to avoid an error at compilation time. c- Load the "Hello World" code from the example section in the IDE menu. - Device_ID: Unique device identifier generated by the system (you can find it in the Device List screen). - Password: User generated (shared secret). - Arduino Ethernet MAC: Ethernet MAC Address (*). (*) current Ethernet shields come with a sticker indicating the MAC address you should use with them. For older shields without a dedicated MAC address, inventing a random one should work, but don't use the same one for multiple boards (source: Arduino's Web). b- Compile and upload the code "Hello World" to the Arduino Ethernet board. Important: Because in this example the Arduino will work in VMCU mode, you will not need modify the Arduino's code. The Arduino will be controlled from the Cloud through the NearBIOS. Note: The default Agent IP configuration is DHCP. If you want to use static IP Addressing, you should set the STATIC_IP parameter to 1 and configure your IP LAN parameters, in the main sketch (available in Hello_World_Ether v0.5L). In the Device List screen, your Arduino should go Up (green) in a few seconds. Important: The screen does not refresh in an automatic way, so you should reload it in order to get the device status. 1- Verify that the green light in the Arduino's Ethernet connector is flashing. 2- Verify that your internet connection if Up (if you can surf by internet). 3- Verify that your Arduino is configured Ok (the 8 character password, the Device_ID and the Arduino's MAC). 4- Reset the Arduino, to ensure that it is properly initialized. Wire a LED with a current limiter resistor to the Arduino's Pin 3 (NearBus Channel 0). a- Select the "CONFIG DEVICE" option in the drop-down menu from the DEVICE LIST screen. b- Put the Channel 0 in Manual Mode (check the MAN check-box for Channel 0). c- Control your LED: Change the FUNCTION drop-down menu to UP, and the Arduino's Pin 3 should go UP and the LED will light :). The following Remote Control HTML example has been designed to be used from mobile devices (Smartphones or Tablets). It will allow you to switch ON and switch OFF up to four power devices. To try this example download the following code in you mobile device or computer and execute it. Double click onto the downloaded "html" file in order to run it on your default browser. The following example is intended to show you the easy way in which the RESTful API works. It shows how to control the LED (Channel_1/pin 3) from your browser, using the address bar as a line command interface (like a traditional OS shell). As you can see thanks to the RESTful API implementation you will be able to control your devices through a simple web link. Note: Is important to remark that the security point of view, the RESTful API can be as secure as a web bank transaction when it implements the same security systems (SSL, certificates, etc.). IMPORTANT: Because the browsers implement the Same Origin Policy , making calls from your local web page to NearBus server with functions like XMLHttpRequest() will not work. If you want to try more features available in the functions drop-down menu please refer to the HELP  section for a detailed description of the NearBIOS features. This page was last edited on 29 March 2018, at 20:44.